Want some really horrible science? It’s about time! 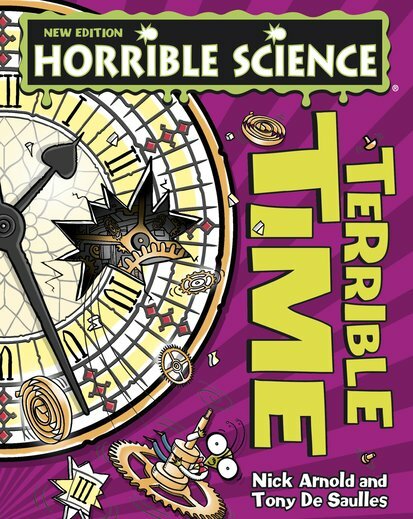 Go time-travelling with this icky book and discover all the terrible time facts you’ve been waiting ages to find out. What happens if you go too close to a black hole? How do flies tell the time? Why do the years zoom past faster as you get older? Find out who was killed for changing the calendar. Make your own crazy clock. Meet the tortured time geniuses who went mad working it out! Check out your chances of a time-travel trip (but don’t forget your sick bag!) The Terrible Truth about Time will get your ticker racing!